At MoveStrong, our philosophy has always been about using the basics of bodyweight and freeform tools to perform resistance exercises. We stand behind the science that those who move more efficiently will develop truly useful strength. Well you asked and we listened! The new MoveStrong Nova XL Arch Bridge is a Patented design to accomidate more open space under a multi-height suspended bridge. 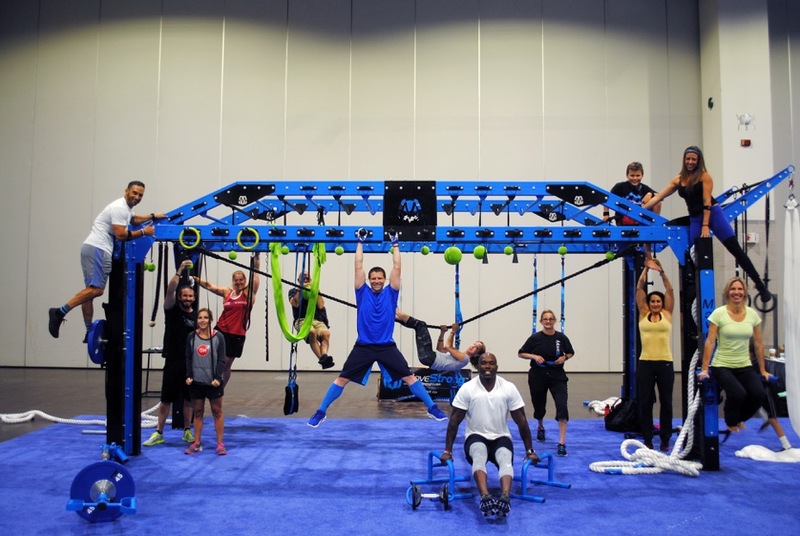 The XL allows for more overhead modalities for suspending fitness tools such as Climbing ropes, rings, grip training tools, Aerial Yoga hammocks and Silks, suspension trainers, boxing/MMA heavy bags, and more. 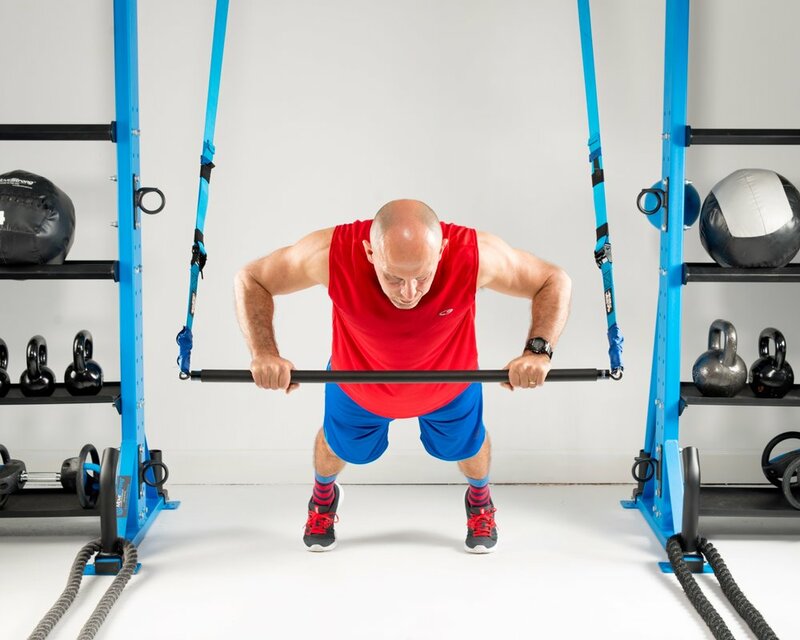 The lower bridge rails of the Nova XL offer training options to include pull-up bars, Globe Grip rails, U-Loops accessory attachment points, Sliding Track for hanging and moving as needed fitness tools such as Heavy Bags and suspension trainers. Integrated functional training features available in a rack? We've made our newest Elite Rack both a ”functional” storage and training solution. Maximize floor space with the best in storage solutions and training features into one system! MADE IN USA.